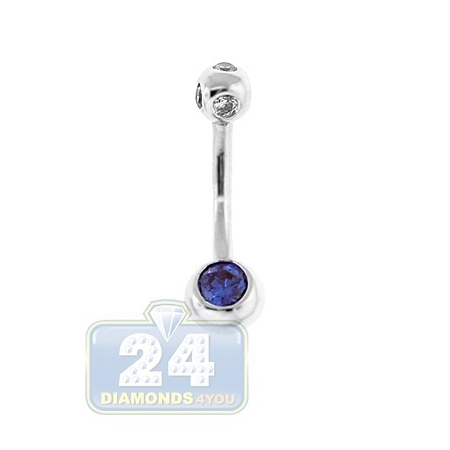 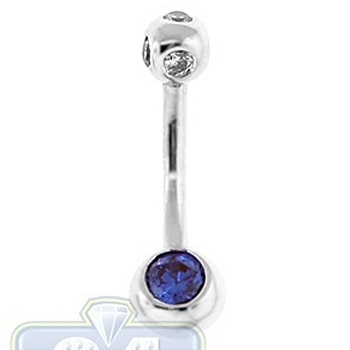 Give your navel dramatic flair with this charming belly jewelry ring! A gorgeous 0.50 ct solitaire blue sapphire of natural origin beautifully contrasts with the luster of 14k white gold polished to the perfection. 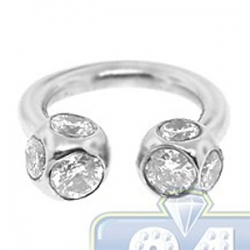 Dazzling top part of the ball is studded with icy 0.25 ct total weight round cut diamonds. 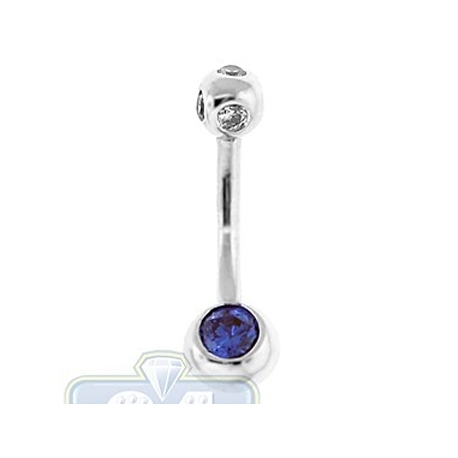 This classy piece will surely adorn your every outfit, at day or night! The piece is 22 mm in length, 6 mm width and weights 2.2 grams.